There are people who have that desire to have their own private space even when storing and organizing their clothes. Some would also dream to have bigger space for their clothes, shoes, bags and other personal belongings especially if there are so many of them. 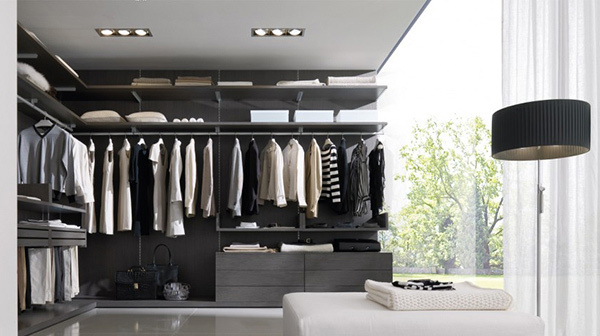 Aside from wardrobes, a walk-in closet can also be a good idea if you have enough space in your home. 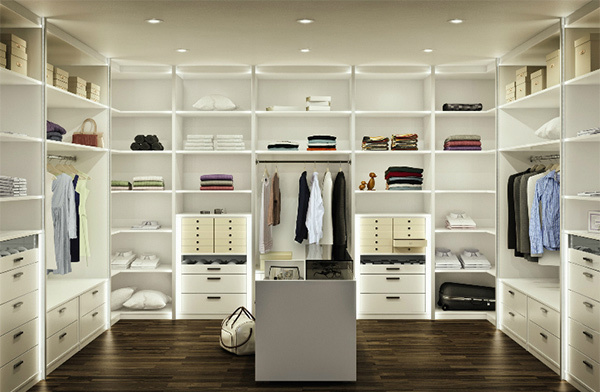 Walk-in closets are enclosed space or a room which has storage spaces for hanging clothes, drawers, shelves and others. One can certainly have an exclusive time choosing and maybe fitting what he or she intends to wear for the day. 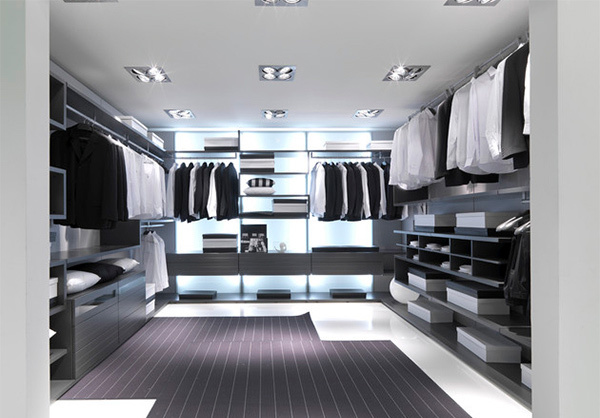 To give you inspiration, we will show you some walk-in closet designs of various styles. Scroll down below and check on them. You can no doubt avoid clutter if you have separate space for your clothes like this one. You will surely love this one because aside from hanging areas for clothing, there is enough space for shoes and bags. Have an access to a number of wall mounted panels and storage units in your closet. Aside from that, you will also get a well-designed walk-in closet for your home. A white walk-in closet with so many storage areas. This is indeed a great place to keep all your stuffs. Everything would be in perfect order for a walk-in closet like this with melamine gray oak finish. Another walk-in closet from Huelsta made from dark veneer having interior fittings that would allow you to store and organize your stuff in many ways. 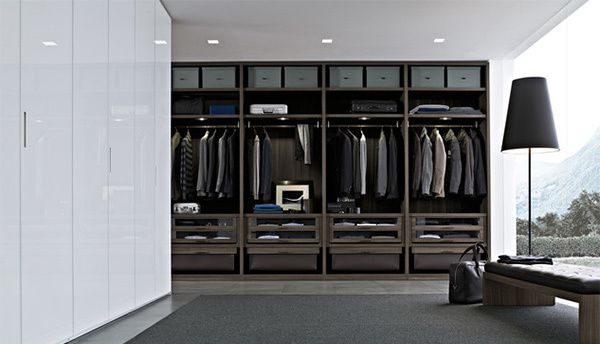 A contemporary home would look lovely with a walk-in closet like this one. There is indeed so much stuff that you can place here. In chocolate pear finish, any woman would want to get this kind of closet. The chandelier sure adds appeal to the area. The wall shelves are creatively done making up a modern walk-in closet. Discover a variety of looks and function with this walk-in closet that is aesthetically focused on maximum freedom. 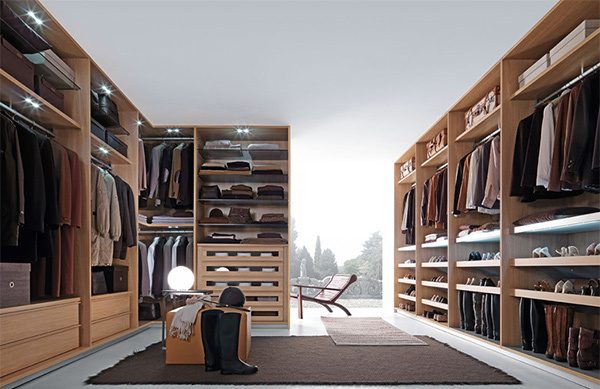 If your walk-in closet is as stunning as this, you would really love to check on your stuff from day to day. This is made from melamine thermo-structured oak open pore white. A closet sharing for both male and female. This is a perfect choice for a couple who want a contemporary touch in their walk-in closet. This closet is indeed modern like what the name suggests. It is not only the storage spaces that look good but even the accent lights in it. Made from melamine thermo-structured oak open pore tobacco, this closet creates a warm and reassuring atmosphere. A touch of sophistication is given to this closet with so many storage features that any women will love. 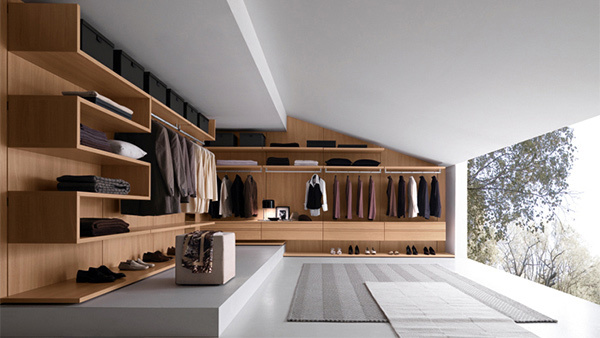 There are indeed many of us who dreams to have a walk-in closet like the ones we see above. It stores your clothes and other personal belonging in an area that is separate from your room. But if you have a limited space in your house, you can try using a wardrobe instead. Check out some bedroom wardrobe cabinet with wooden finishes and white wardrobe cabinets.